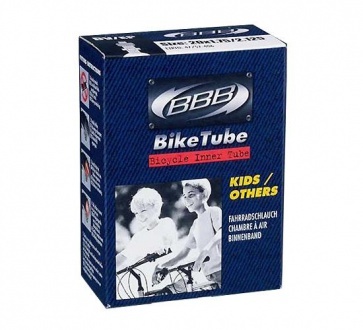 BBB BICYCLE BIKE TIRE INTER TUBE 20x1 3/8"
■ Inner tubes for smaller wheel sizes with Schrader and Dunlop valves. ■ Also available: A bent valve type for easy access (60D BV). BBB Bicycle inner Tube 451 BTI-22 20x13/8 mini velo. ■ Inner tubes for smaller wheel sizes with Schrader and Dunlop valves. ■ Also available: A bent valve type for easy access (60D BV).